The sooner physiotherapy begins, the quicker the recovery. 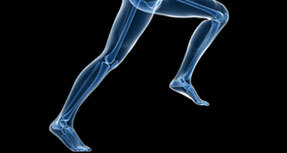 Physiotherapy helps to relieve your symptoms and resolve your injury as quickly as possible. From sports injuries to every day physical problems such as shoulder or back injuries, our physiotherapists can help. We believe that manual or “hands-on” therapy, be it a soft tissue stretch or a joint mobilization, in conjunction with a graduated exercise program, are both vital components of treatment. Continuous monitoring and exercise progressions will allow you to achieve above and beyond what you ever thought capable. Physiotherapy is a healthcare profession that focuses on the treatment and prevention of physical injury and disease. Physiotherapists have completed a physiotherapy program at an accredited university, have been licensed by the College of Physiotherapists of Ontario and must maintain their clinical skills through post-graduate courses on an ongoing basis. At your first visit, a physiotherapist will perform an assessment to determine the cause of injury and design a personalized treatment plan to restore function. 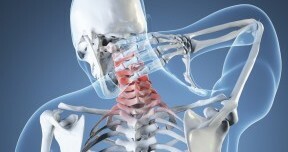 This treatment plan may include manual therapy techniques to mobilize the joints and soft tissues, massage therapy to release the myofascial tissue, electrotherapeutic modalities to control inflammation and pain, and individualized exercise prescriptions to stretch and strengthen musculoskeletal structures. There is also an education component to physiotherapy that will address posture, body mechanics, ergonomics, work habits, pathology, injury prevention and return to work or sport. Other techniques often employed by physiotherapists include acupuncture, orthotic prescription, and bracing or taping. Our professionally trained and registered physiotherapists recognize that each patient has unique injuries and requires an individualized treatment plan. Our physiotherapists have advanced training in manual therapy and continually upgrade their skills to stay current with advances in medical research. They understand the importance of communication among patients’ healthcare providers, and keep each patient’s family doctor up to date with their treatment and progress. We provide patient-centred, evidence-based care and focus on open communication within the healthcare team.